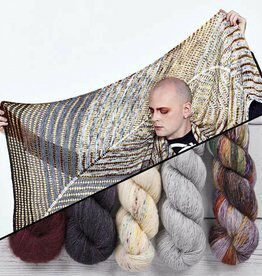 Stephen’s newest design called Quake features 4 colors of Hedgehog Fibres Skinny Singles and 1 Kidsilk Lace color (original kits 1-10, additional kits may contain different yarns, please see item details). Chevrons and short rows create this striking geometric design with mohair eyelet rows for a super soft and flowy fabric. 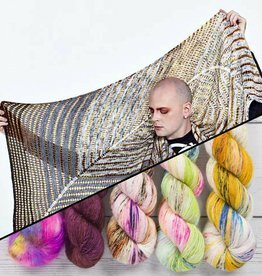 You will receive a download code with PDF instructions for both the long Quake Scarf as well as the wider Quake Shawl shape. 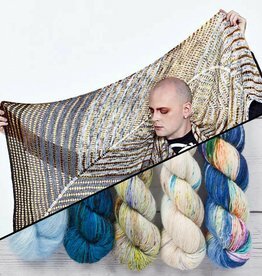 Each kit contains enough yarn to knit either the long scarf or the wide shawl variation.